WordPress is home to countless e-commerce plugins and solutions — one of the best is WooCommerce. But there are other solutions you could use — Shopify quickly comes to mind. Choosing between these two powerhouses of online shopping is never an easy choice. Both are outstanding in their field, both are easy to use, and both will help you sell products and services with a minimal amount of setup. At the end of the day, though, you want the e-commerce solution that’s best for your needs. That’s why we’re comparing WooCommerce and Shopify to see which is the best solution to help you stay in business. Both Shopify and WooCommerce help you set up an online store without the need to hire a developer. Below is a quick overview of what you can expect to get out of WooCommerce and Shopify before you take the plunge and install. What Is WooCommerce?What Is WooCommerce? WordPress wasn’t built with e-commerce in mind. Its main purpose is publishing and managing content, including everything from blogs to webcomics. Due to the nature of WordPress’s design, though, it’s easy to extend with plugins and repurpose for a variety of tasks. Selling products is just one of these tasks, and WooCommerce is one of the leaders in the niche. 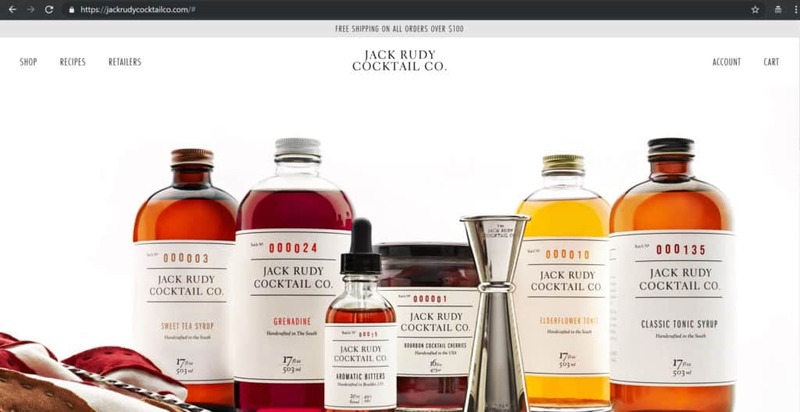 Installing the WooCommerce plugin to your WordPress site instantly adds a shopping cart, product pages, inventory management, checkout scripts, etc. Essentially, you get a one-click store on your site, no fuss or configuration required. Once WooCommerce is installed, all you need to do is add your products, set prices, and start selling. What Is Shopify?What Is Shopify? Shopify is a standalone tool that lets you build an e-commerce site without touching a single line of code. Everything you need to sell products is available from the start, including shopping carts, order tracking, sales and growth trends, inventory management, and so on. It’s plug-and-play in the best sense of the phrase, and it’s so self-contained you don’t even need a content management system like WordPress to run it. With the basics out of the way, it’s time to dig down and really inspect the e-commerce solutions individually. We’ll start with WooCommerce. WooCommerce is an add-on to WordPress. This simple fact gives the plugin a ton of advantages over the competition, the main ones being control and customizability. WooCommerce runs on your website, which you alone own and are in total command of. You can also customize WordPress with the same level of care, creating an environment ideally suited for advanced shop owners and developers. One of the biggest selling points of the WooCommerce and WordPress platforms is that they’re free. The base installs, the software itself, it’s all free to download and use for eternity. There are also no additional fees added by the plugin, meaning you’ll only be charged by your payment gateway (PayPal, Stripe). To use WooCommerce, however, you will need to purchase your own hosting solution and domain name, which could bring your monthly bills to a considerable amount if you run a large online shop. The best thing about WooCommerce is that it was designed to work with nearly every WordPress-compatible theme. 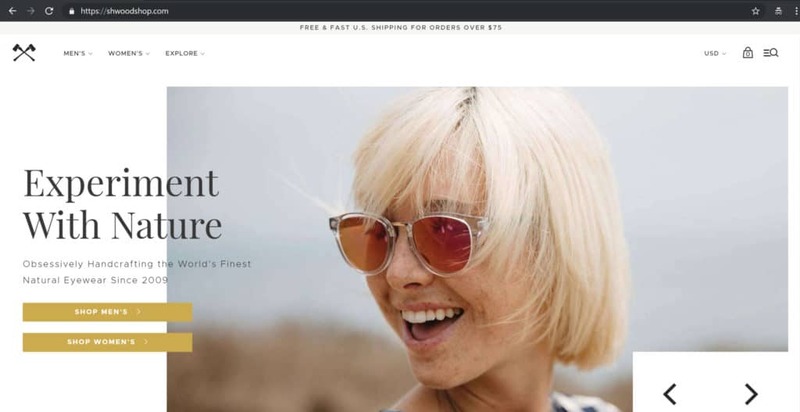 That means there are literally tens of thousands of free and premium themes you can use to customize your website, and WooCommerce will fit right in, with all of them. There are even some free and paid themes designed for WooCommerce websites. Both WooCommerce and WordPress are incredibly easy to use. In fact, WordPress made its name by having the famous “5-minute install” tagline. Adding WooCommerce is as easy as installing a plugin and running a setup wizard. On the day to day side of things, WooCommerce keeps things as simple as possible. You can add and manage products from your WordPress dashboard, customize features from the same area, even check out analytics and sales information using basic charts. WooCommerce is just as intuitive as WordPress. These are pretty simple requirements, but they do add significantly to the setup time. SEO is on every site owner’s mind. Only by providing the right information in the right way can an online store get noticed by search engines and visitors. When evaluating the WooCommerce vs Shopify situation, don’t forget about SEO. The good news is that WooCommerce places a heavy emphasis on proper SEO. Part of this is because it’s built on WordPress, which itself is highly optimized and geared towards good SEO practices. You’ll be able to add blog content to your WooCommerce site with ease, which is the number-one method of boosting SEO ratings. All you have to do is focus on the right keywords and the customers will come straight to you. Shopify is a standalone e-commerce solution that runs as its own independent service. It has everything you need to run an online store, all self-contained and ready to deploy. Let’s face it, the cost is usually the top consideration when it comes to setting up a new business. Shopify is a software-as-a-service product, meaning you subscribe it and receive ongoing benefits and support. The features at your disposal change depending on your subscription, as well. Basic accounts start at $29 per month and offer all the core features start-up businesses need. Advanced users who pay $299 per month get access to report builders, gift cards, staff accounts, and much more. It’s worth noting that in addition to the above subscription fees, Shopify also takes a small percentage of each transaction handled on your site. This is standard practice for most payment gateways. Shopify charges around 2.9% plus 30 cents for each credit card transaction and between 0.5% – 2.0% for external payment processors. These can be avoided by using the Shopify Payments. No matter which subscription plan you’re interested in, Shopify lets new users try the service free for 14 days, without requiring your credit card information. This is a great way to check out the product and do a little customization to see if it’s the right fit for your business. The biggest benefit of using Shopify lays in the number of design options at your disposal. If your store doesn’t look attractive, customers won’t want to stick around and browse your products. Shopify takes the pressure off of your design team by allowing full template customization and dozens of professionally created store themes. Around ten of these themes are free, giving you plenty of options from the moment you install. Changing your design is pretty straightforward, as well. You can customize colors and styles on any theme you activate, or simply change everything with one click. Advanced developers can dive into Shopify’s Liquid programming language to add deep customization to their store, though this is entirely optional. No matter which e-commerce solution you decide to go with, you’ll be using it on a daily basis. A high priority for any site owner should be ease of use, especially if you’re not interested in digging through code to make simple changes to your site. Shopify has ease of use down to an art. It was designed from the ground up to be as easy to understand and deploy as possible. It all starts with the setup wizard, which guides you through the installation process from beginning to end. The Shopify dashboard shows you relevant information at a glance, and you can adjust the data it displays to suit your particular needs. Adding products to Shopify couldn’t be simpler, either. Every option is available on a single panel, letting you customize and add information without getting lost in the details. Shopify deploys basic SEO practices like metadata and site copy slots to help your shop stay on top of things. As long as your product descriptions are adequate and you have good home page copy, SEO won’t be much of a problem. The downside is that Shopify only has rudimentary support for blog posts. Adding written content is a fast and easy way to boost SEO, and since Shopify lacks in this area, your site could lack, as well. We’ve gone through the details and discussed the ins and outs of both e-commerce solutions. When it comes down to it, which one should you go with, Shopify or WooCommerce? Shopify is a fast, straightforward, and no-nonsense service. It provides every online store feature you could ever need (and then some), and it gives you access to them with just a few clicks. This makes Shopify a great choice for business owners who only want to host an online store, not a blog or content site. You don’t have your own website already and want to get things up and running as quickly as possible. You only want an e-commerce store, nothing else. You’re not opposed to subscription-based services or paying for new features. You don’t want to mess with server configurations or anything like that, you just want your site to work. You’re not comfortable setting up software on your own web server. WooCommerce is highly customizable, free to use, and extremely powerful. It gains a lot of advantages by running on the WordPress platform, which many people are already intimately familiar with. It’s a great choice for anyone just starting out with their online store, or for power users who know what they want out of an e-commerce solution. You already have a WordPress site and want to build your store on top of it. You want as many theme and add-on options as possible. You want complete control over every aspect of your store. You’re comfortable with the more technical side of things, including web hosting. You’re on a tight budget and aren’t comfortable subscribing to a service. Both WooCommerce and Shopify have a ton of great features. They’re easy to use, affordable, and provide all the tools you need to get an online store up and running. Depending on your specific needs you might favor one over the other, but the truth is you can’t go wrong with either. Should you need performance-oriented managed hosting for your online WordPress-powered shop, you might consider our hosting plans.